A lamb with a lamb! 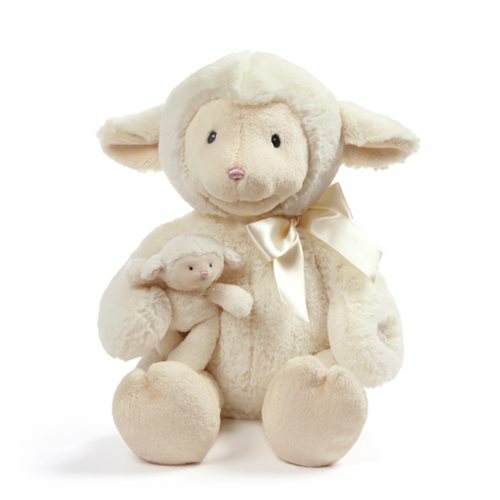 This adorable Nursey Time Lamb Animated Plush is an animated cuddly that's sure to bring a smile to your little one's face. At the push of a button, the mouth moves and its head moves from side to side! Soft huggable plush and a bow provide cutesy charm. It's surface washable for easy cleaning and measures about 10-inches tall x 10-inches wide x 9-inches long. Requires 3x "AAA" batteries.